Mariachi is a Spanish business name for a Mexican restaurant. Name of a kind of traditional Mexican music. Also, the musician who plays this genre. Mariachi is a ideal name for a Mexican restaurant. 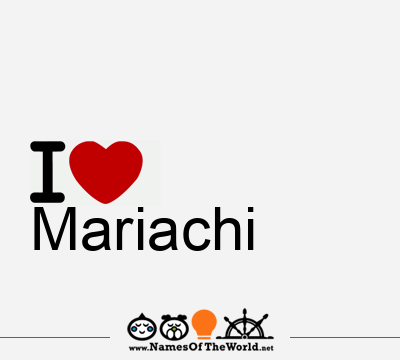 Download the image I love Mariachi and share it in your social profiles, web o blog! Do you want an image of the name Mariachi in arabic, chinese, gotic, etc. letters? Go to Picnames.com and create your own signature!